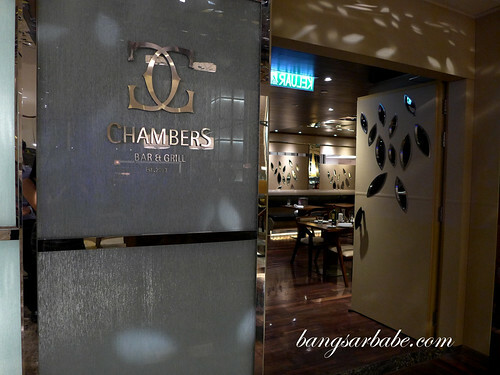 Chambers Bar and Grill at Hilton Kuala Lumpur serves mainly beef, aged in a special Himalayan salt-tile dry-ageing cabinet and prepared “a la minute” over lava stone, charcoal or “robatayaki” style. I’ve heard quite a bit about this new restaurant; a venue meat lovers call paradise. 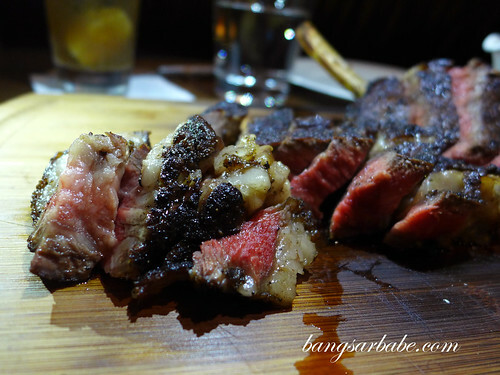 I was there to try the Wagyu Tomahawk (RM798 for 1kg), dry aged for 21 days for a more tender bite and deeper flavour. Served on a wooden board with my choice of chunky mushroom sauce with Hennessey XO, it looked and smelt delicious. 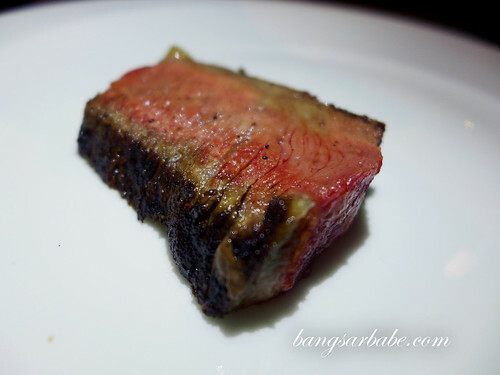 As expected from any good cut of wagyu, the meat (marble score 6) was beautifully tender with a remarkable depth of flavour. 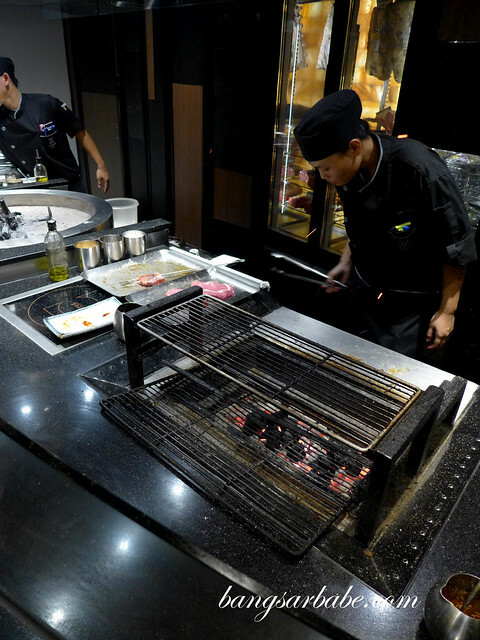 I especially loved the combination of charred edges and creamy fat – crisp, flavourful and insanely sinful. While it was said to be a 1kg slab of meat, it didn’t look so to me. 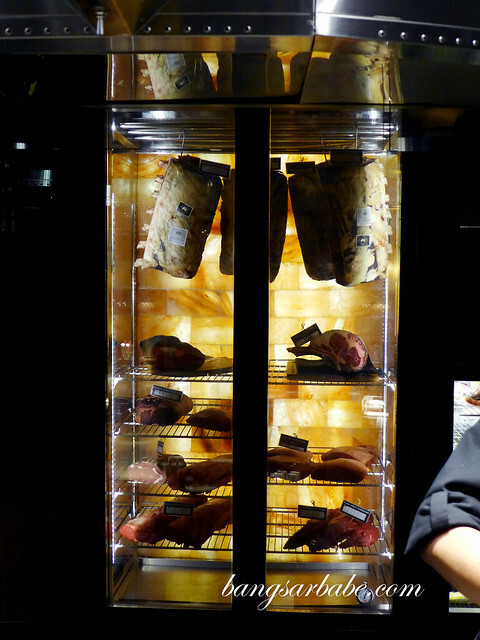 The 1kg steak from my regular steakhouse next door was considerably larger. 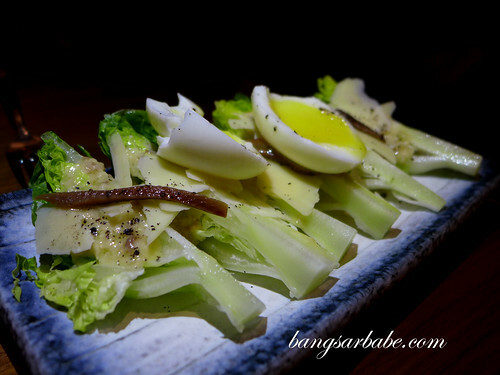 We also shared a Caesar Salad (RM18), a simple assemblage of lettuce, soft boiled egg, anchovies and shaved parmesan. 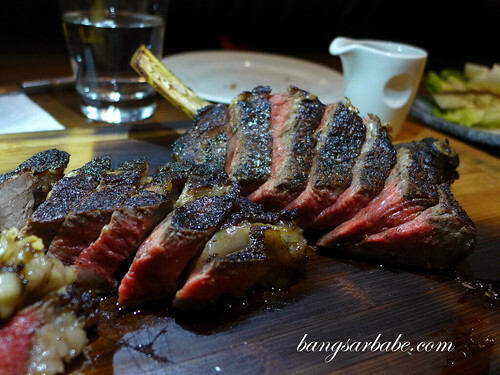 It wasn’t much to shout about, but this salad made a good side dish to the tomahawk. Service was rather disappointing that night; it was almost non-existent. 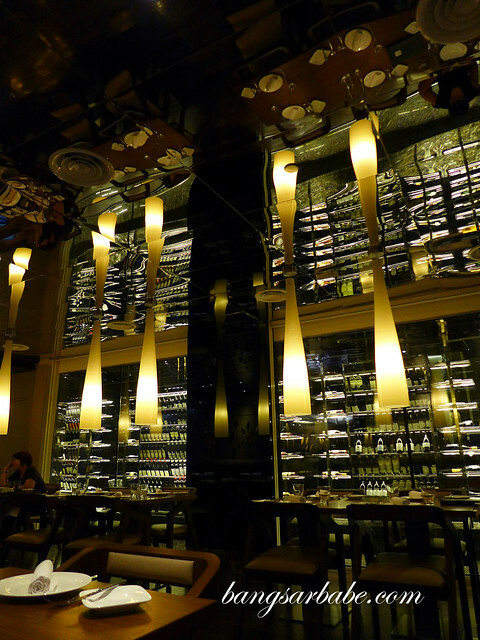 I had a hard time getting the staffs’ attention to order and pay our bill. 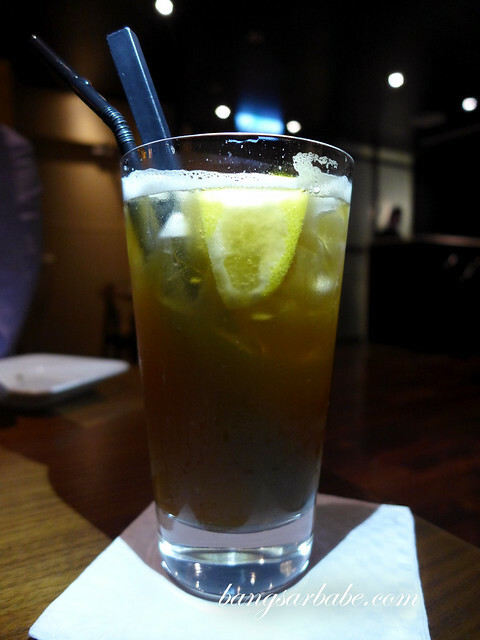 I wouldn’t have expected such poor service from a 5-star hotel such as Hilton Kuala Lumpur. We skipped dessert because I didn’t want to deal with such service any longer. 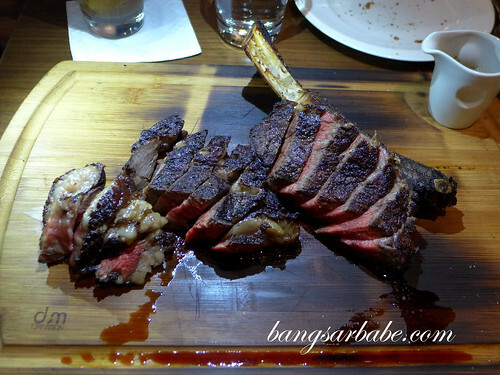 Verdict: The tomahawk was good but my dining experience was marred by the terrible service. 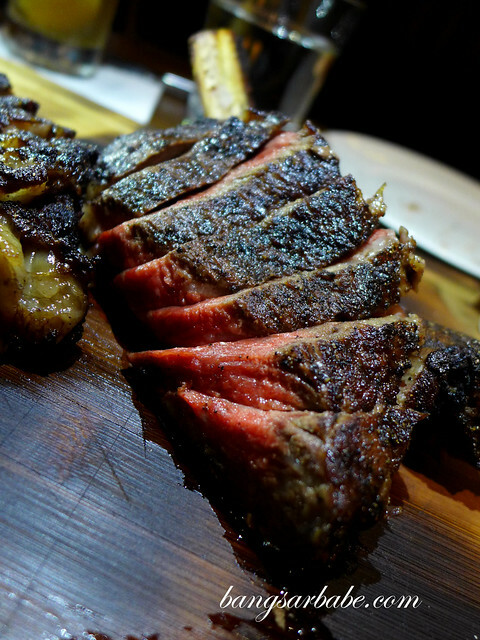 Ooo love the look of the charred exterior on that tomahawk. Glad you had good service. Will see if I can gather enough courage (and patience) and revisit once more! I had a super bad experienced there. The Soup i had was terrible and the slipper lobster was literally bad and spoiled already. Scallops and spinach were overly salty and the steak is not alike yours at all. Not even charred to begin with.. So disappointed. End up paying RM500 plus for nothing.